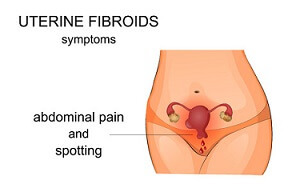 Fibroid tumors are abnormal growths in the form of a fibrous ‘knot’ or ‘mass’ in the uterus. They are firm and compact made of fibrous connective tissues and smooth muscle cells that are present in the womb. The tumors commonly develop between the ages of 16 to 50 years, especially during the reproductive years of a female’s life. Fibroids are benign or noncancerous and their size varies among different individuals. The tumor rarely occurs in women who have undergone menopause due to a drop in estrogen levels which is one of the leading contributors to this condition. 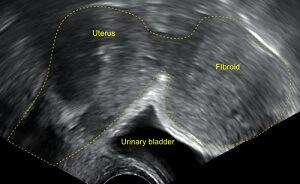 Subserosal Fibroids: The serosa is the outermost thin layer of the uterus. It along with the ligaments supports the womb in the pelvic cavity. 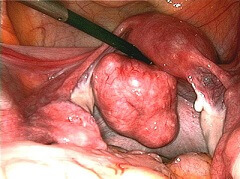 Subserosal fibroids grow in the serosa outside the uterus which can either be sessile or pedunculated. 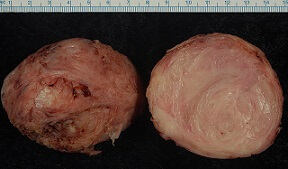 Pedunculated Fibroids: These extend outside the uterus into the pelvis and also occur within the endometrial cavity. They extend from the uterus on a stalk and are easy to remove through surgeries such as hysteroscopy or laparoscopy. Symptoms of this type of a growth are bleeding, pain and pressure in a particular area based on its location. 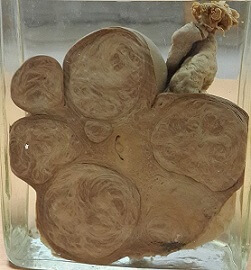 Intramural Fibroids: Fibroid of this kind is the most common and grows in the myometrium which is the thickest and the middle layer of the uterus. 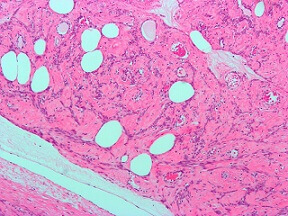 The smooth muscles of this layer contract during periods to shed the endometrial lining of the womb. 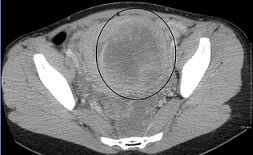 If a fibroid grows in this location, it disfigures the shape of the womb. 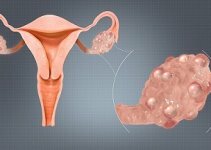 Submucosal Fibroids: Submucosal fibroids occur in the thin, innermost lining of the uterus known as the endometrium and account for 5% of all the uterine fibroids. Like subserosal fibroids, these too can be of two types, sessile and pedunculated. Apart from the above-mentioned types of fibroids, people may develop parasitic fibroids that receive blood from other parts of the body except for the uterus and seedling fibroids that measure less than four millimeters in diameter. Genetics: People who develop fibroids may be related or be a part of the same family. This could be due to the presence of genetic material which is different from the regular uterine muscle. Hormones: During each menstrual cycle, the hormones estrogen and progesterone stimulates the development of uterine lining in preparation for pregnancy. 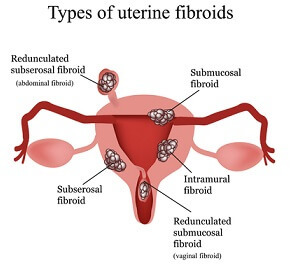 Fibroids contain more estrogen and progesterone receptors than normal uterine muscle cells. Thus, there is a higher chance for fibroids to develop during the reproductive age as estrogen levels fall after menopause. Medication: The use of specific medication can increase the chances of developing fibroids due to the elements that are present in them. Women who consume birth control pills are more likely to develop fibroids in the uterus because of the presence of estrogen in the pills. Pregnancy: In this particular condition in which the body of the woman experiences changes due to the production of some hormones. Production of estrogen and progesterone also increases during pregnancy, which results in the rapid growth and development of fibroids. Heavy periods: Fibroids may cause heavy bleeding and pain that may lead to depression, difficulty in performing daily activities, fatigue, anaemia, etc. Pregnancy: Complications may increase during pregnancy in the presence of fibroids. Placental abruptions, bleeding in the first trimester, breech presentation and problems during labor are some of the problems that happen in cases where the pregnant lady develops fibroids. It also increases the chances of having a cesarean delivery. Infertility: Fibroids can pose problems when conceiving a child. They may block the fallopian tube or lodge themselves in the lining of the uterus that changes the shape of the womb and makes conception difficult. Abdominal pains: Large fibroids cause pain and swelling in the abdomen that may result in painful bowel movement or constipation. 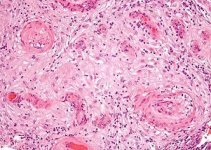 Leiomyosarcoma: This is a rare condition which refers to the development of cancer inside the fibroids. GnRHA: Gonadotropin-releasing hormone agonist leads to lesser production of estrogen resulting in shrinkage of the fibroid and stops menstruation cycle but does not affect fertility once the person stops taking medicine. Anti-inflammatory drugs: Medications such as mefenamic and ibuprofen are some anti-inflammatory drugs that can reduce the production prostaglandins causing heavy periods. They also act as painkillers but do not affect fertility. Levonorgestrel intrauterine system: This is a plastic device that releases the progestogen hormone called levonorgestrel. The device is placed inside the uterus, the hormone stops the uterus lining from growing too quickly.